Without sounding super Asian, but we lovveee us some sushi. Not only does it taste good, it’s healthy, there are variations to please every palate, and it’s in cute bite size pieces – who doesn’t love cute looking food?! 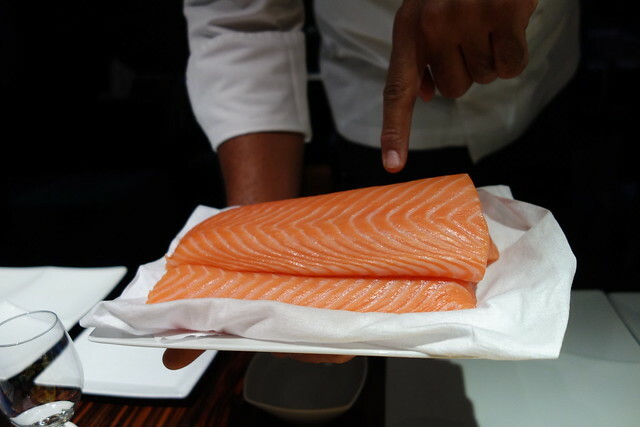 The sushi market has exploded over the last couple of years with ‘sushi’ spots, chains and Japanese fusion restaurants opening all over London. 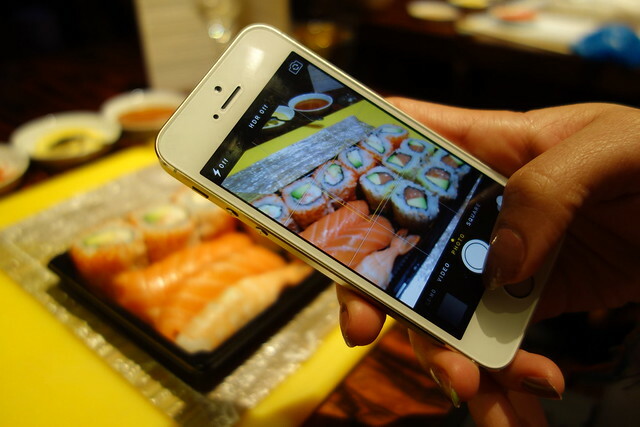 If there is an office block, there will definitely be an Itsu, Wasabi or Abokado nearby offering on-the-go sushi. 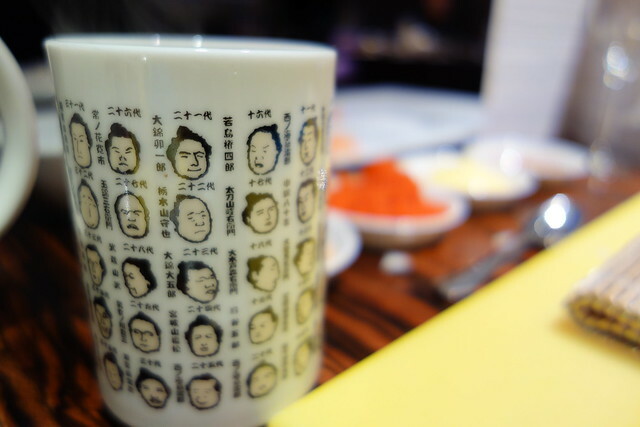 In such a populated market, you will find that the quality of sushi we eat has gone downhill. 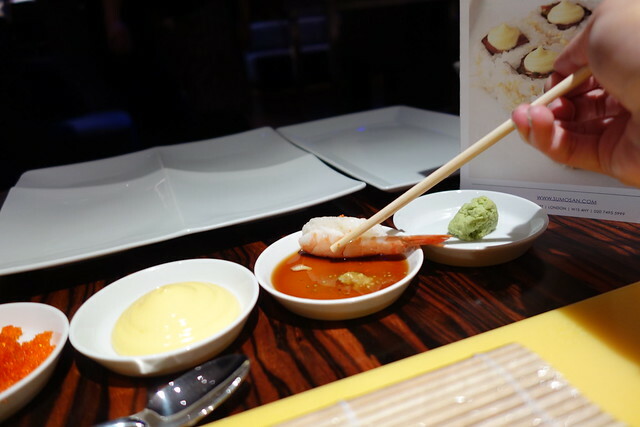 It is perfectly accepted and the norm to eat rubbery, chewy sushi that has been chilled to core filled with pieces of salmon and crabsticks...edamame beans – enough to make Hanaya Yohei turn in his grave! 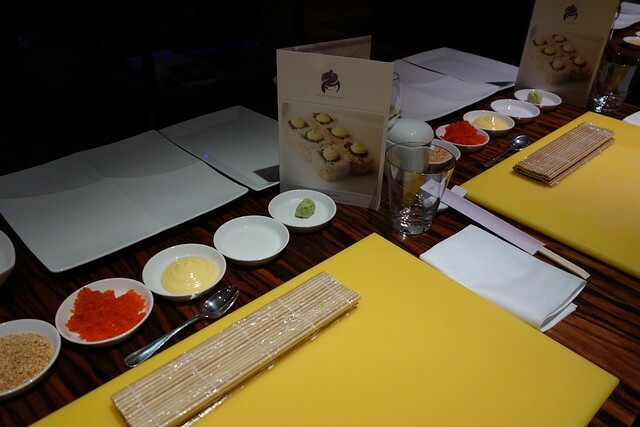 Laid out in front of us was a bamboo sushi rolling mat, a bowl of water, a selection of dishes containing sesame seeds, kewpie mayo, glistening roe (shiniest we’ve ever seen!) and wasabi. 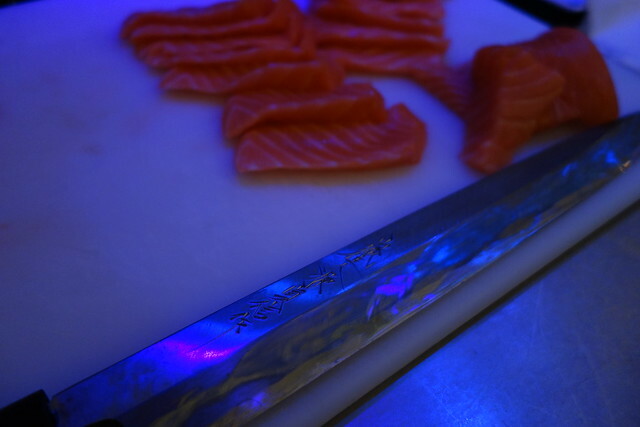 This meant one thing: Sushi Making Time! 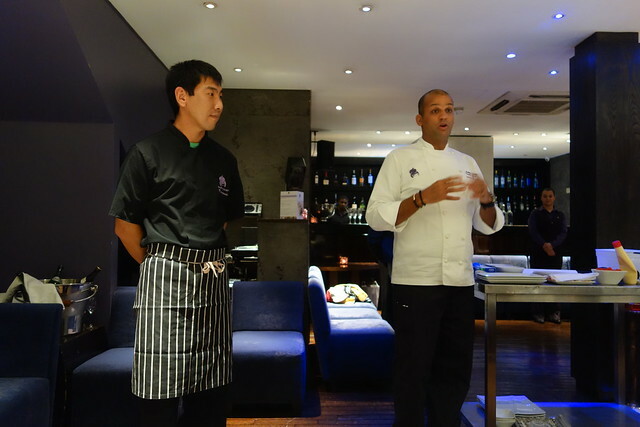 But before we got our hands dirty, we obvs had to sample what we were about to make first, to ensure we got to taste and see the standards our master chefs expected of us for the evening. A selection of Sumonsan’s staple Nigris and California Rolls were brought out to us with a side of the tastiest Gari (pickled ginger) we’ve ever tried and a glass of tradition rice wine to wash it all down (or green tea for the non-drinkers). 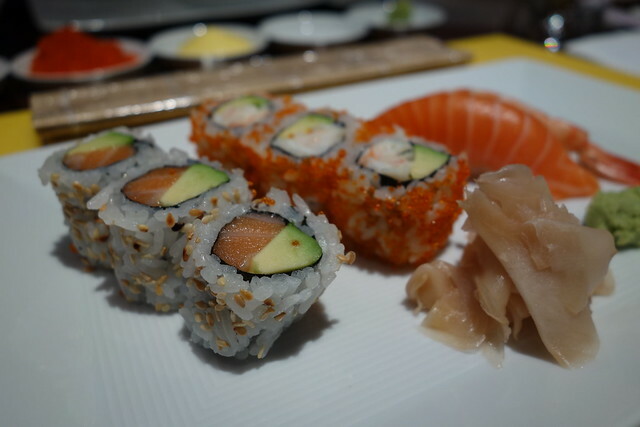 Hands down, the finest sushi we’ve ever had. The rice was perfectly flavoured with their specialty rice vinegar, enough to leave a subtle sweet, sour and salt taste on your tongue – not too much so it takes away from the flavours of the fish, which was so fresh and so meaty OMG. I swear I have the taste of it as I type this! Not only did the rice taste great (we ate leftovers of it after the class finished, that’s how tasty it was) it looked great too: sticky, but retaining its round and fluffy shape. First, we were given step by step instructions on how to make our very own nigri. 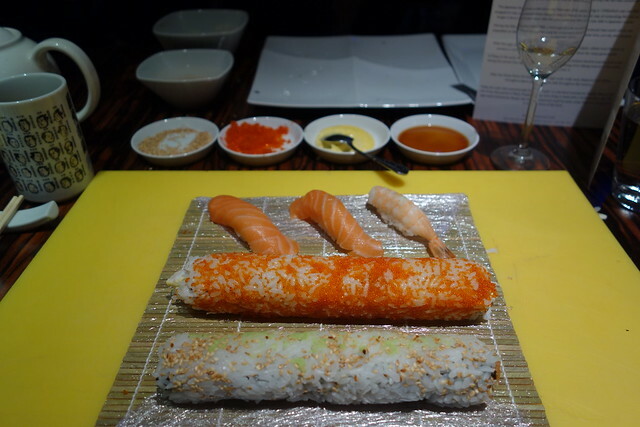 This type of sushi looks like a mould of rice, with a slice of salmon on top – simple enough to make right? You would think that, but the process is much longer and calls for tender hands! 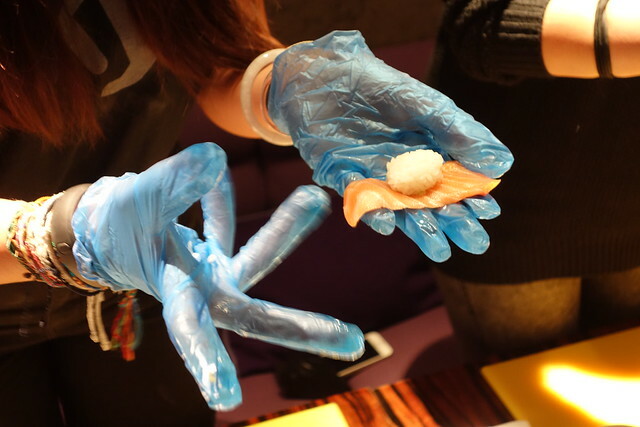 With a small handful of sushi rice you have to mould and shape it in the palm of your hand into the perfect oblong shape, then you add a touch of wasbi on top of the rice before draping the piece of salmon to finish it off; slightly patting and moulding it until it forms a perfect piece of nigri *breaks a sweat*. It’s an art form. 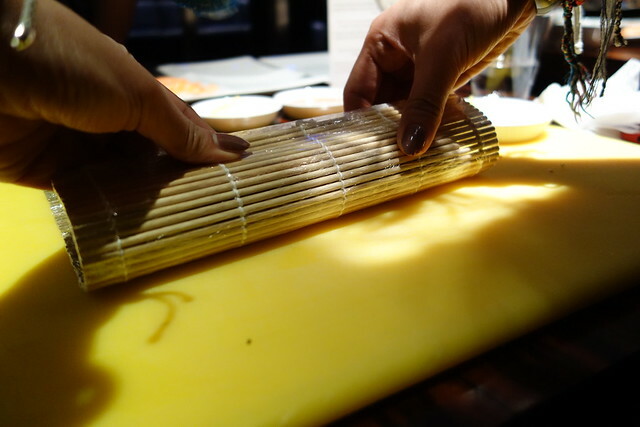 1) Break a sheet of nori in half and lay it on your bamboo mat as close to the edge as you can get it. 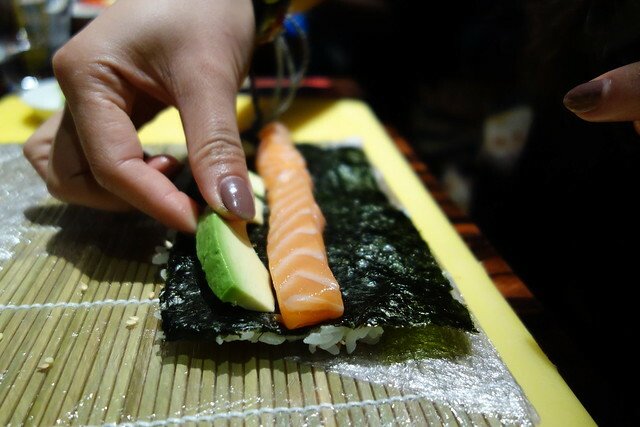 With wet hands, grab a handful of warm, sticky rice and quickly pat it down evenly on your nori. 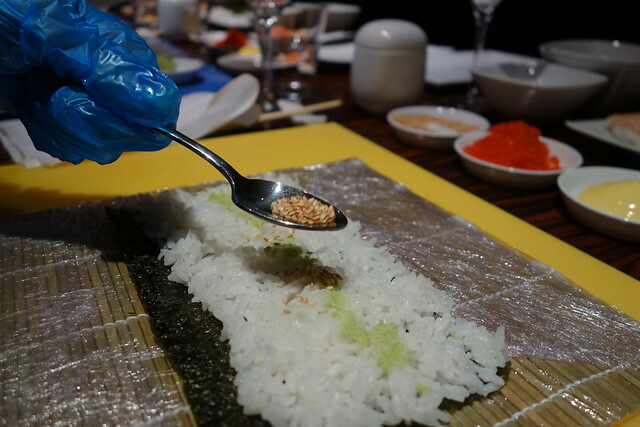 Speed is needed because as soon as the rice touches the nori it goes soft, and you don’t want to rip it! Try and not flatten the rice either, it should retain its fluffy texture and not turn into mush. 2) Using your fingertip, spread a slither of wasabi on the rice and sprinkle your choice of sesame seeds or roe all over the rice. Sprinkle evenly because this is going to appear on the outside of your roll! 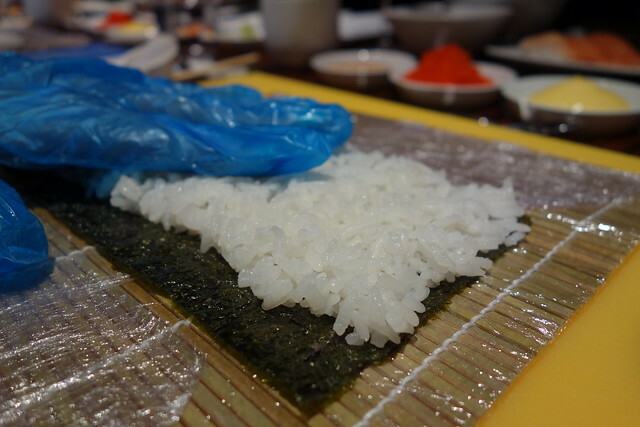 3) Next, you have to quickly flip over your nori and rice so the nori faces upwards, ready to be filled. Place your salmon pieces across the middle, then add two slices of avocado on top. 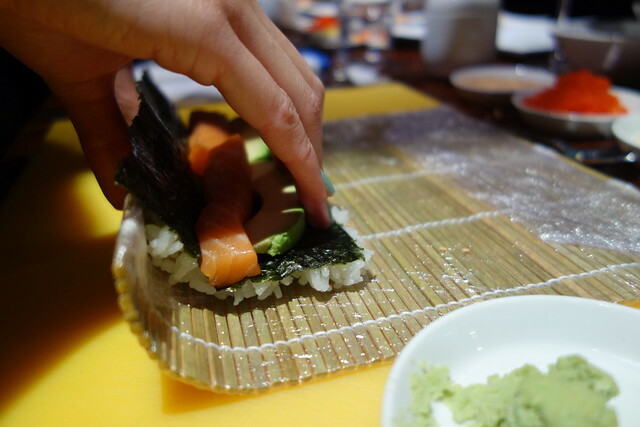 4) The tricky part now, the make or break of your perfect sushi rolls! Carefully start to roll your mat, placing your fingers above the avocado to hold the ingredients in place. Roll and keep on rolling within the mat until your roll compresses and you get that shape needed. 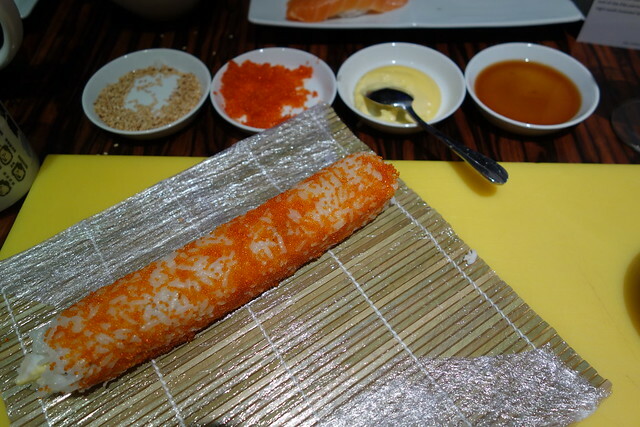 5) Once happy with the shape of your roll, grab a sharp wet knife and slice 6 even pieces! 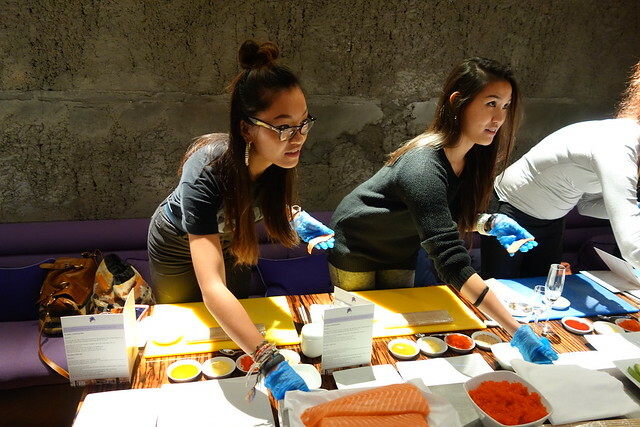 A massive thank you to Sumosan for inviting us down to experience our first ever sushi making experience! 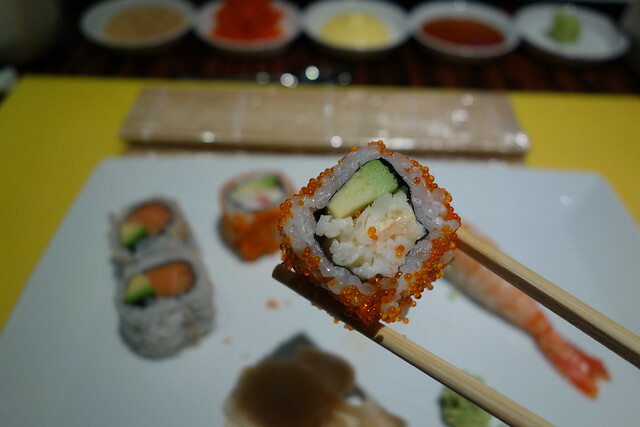 Here is our amazing finished sushi, pre-cut. We have some natural skills it seems! 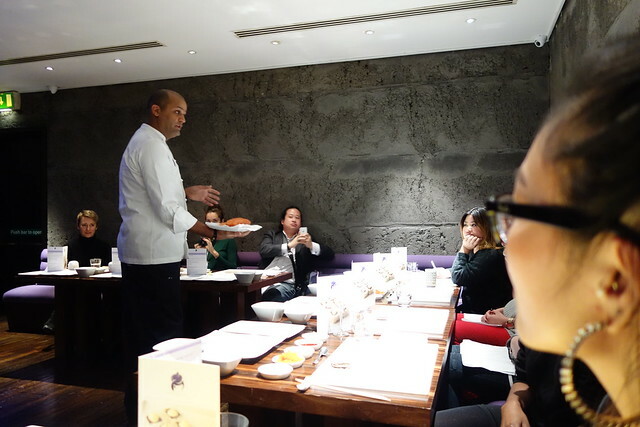 Thank you to Chef Bubker for sharing his knowledge too!